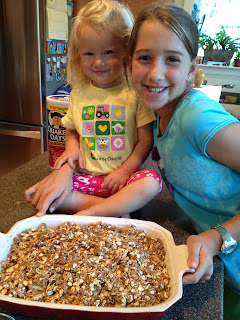 The oldest and youngest helped me make an apple crisp for dessert. It's ready for the oven. They can't wait to eat it with some ice cream tonight.